Lakshmi joined Watsi on August 8th, 2013. Four years ago, Lakshmi became the 492nd member to automatically support a new Watsi patient every month. Since then, 4,605 more people have become monthly donors! Lakshmi's most recent donation traveled 1,900 miles to support Nephtalie, a teenager from Haiti, to fund prep for cardiac surgery. Lakshmi has funded healthcare for 52 patients in 11 countries. Kevin is a motorcycle taxi operator from Kenya. He is the oldest in a family of five children. In October, Kevin fractured his left hand. Now, he is not able to use his hand and is in pain. Fortunately, surgeons at our medical partner can help. On November 1, Kevin will undergo a fracture repair procedure, called an open reduction and internal fixation. This procedure will allow his hand to heal well, and Kevin will be able to go back to operating the motorcycle taxi. Now, our medical partner, African Mission Healthcare Foundation, is requesting $640 to fund this procedure. Kevin says, “I pray that I will be treated and resume my work. I will be grateful for the support." 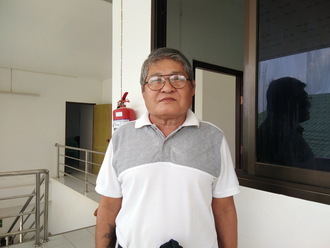 U Maung is a 69-year-old man who now lives in Kawkareik Township, Karen State, Burma. He has been living on his own for nearly two years. He has a small vegetable garden and raises chickens. His children are all married, and they live in different places. U Maung has been diagnosed with benign prostatic hyperplasia, a noncancerous increase in size of the prostate. He has been taking regular medication. On his last visit to the hospital, the doctor told him that he requires surgery to prevent possible complications in the future. His prostate surgery is scheduled for October 31. Now, U Maung needs help raising $1,373 to fund surgery. Kennedy is a casual laborer from Kenya. He sells hats along the streets to make ends meet. Kennedy has a closed femur fracture. He is not able to walk or move and is in a lot of pain. Fortunately, surgeons at our medical partner can help. On June 5, Kennedy will undergo a fracture repair procedure, called an open reduction and internal fixation. This procedure will enable Kennedy to heal and walk again. Now, our medical partner, African Mission Healthcare Foundation, is requesting $1,451 to fund this procedure. 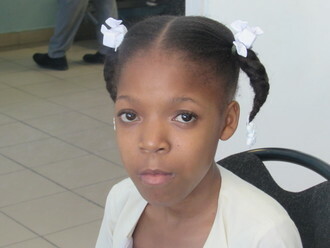 Kennedy says, “I would like to be treated and resume my duties to secure my future." Sydney is a baby from Kenya. He is the only child to his parents. Sydney’s mother is a hair stylist, while his father is a motorbike taxi operator. Sydney has been diagnosed with hydrocephalus, a condition in which excess cerebrospinal fluid accumulates in the brain and increases intracranial pressure. As a result of his condition, Sydney has been experiencing an increasing head circumference. Without treatment, Sydney will experience severe physical and developmental delays. Our medical partner, African Mission Healthcare Foundation, is requesting $685 to cover the cost of surgery for Sydney that will treat his hydrocephalus. The procedure is scheduled to take place on April 5 and will drain the excess fluid from Sydney's brain. This will reduce intracranial pressure and greatly improve his quality of life. With proper treatment, Sydney will hopefully develop into a strong, healthy young boy. “I hope my son gets a lasting solution to this condition,” shares Sydney’s mother. 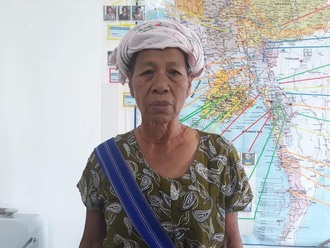 Lwin is a 61-year-old housewife from Burma. She used to rent a patch of land for farming, but a recent medical condition has forced her to stop working. Lwin's husband passed away and she has six adult children. Now Lwin lives with one of her daughters and son-in-law. Lwin experiences back pain if she sits for long periods, and she feels a tightness and discomfort in her upper abdomen. Eventually she went to Mae Tao Clinic, our medical partner's care center, to have her symptoms checked. The doctor diagnosed her with a large kidney stone and told her that she requires surgery to remove the stone. Lwin will undergo a shockwave lithotripsy on March 8. Now, she needs help raising $1,500 to fund this procedure. She says, "Now I have a small garden where I plant vegetables. When I was away for my treatment, I didn’t get to water my garden and when I returned home, I saw that the plants were all dry. It’s costly to visit the hospital very often and I have no time to look after my garden. I just want to have the treatment and fully recover from my symptoms so that I can work in my garden again."